Would you feel annoyed if someone started using their phone in the middle of a theatre performance? Most people would consider this to be a social faux pas, but new smartphone technology is quickly changing people’s attitudes… so much so that the Providence Performing Arts Theatre in the US is now actively encouraging “Tweeting for theatre seats”. The concept is simple: anyone who tweets during a performance is eligible for free seats. It may sound disruptive, but there are strict rules governing this unorthodox practice. For example, you only get free theatre tickets on the proviso that your tweet is discrete. To ensure minimum disruption, the back row seats are reserved for tweeters, so that the light from people’s smartphones doesn’t intrude on other theatregoers. This novel idea isn’t just confined to this particular Rhode Island theatre. It’s becoming more and more widespread and has recently been adopted by other theatres throughout the United States. It’s a win-win scenario: tweeting patrons get free tickets, while the theatre and productions get free exposure, using one of the most effective marketing tools – word of mouth. Social media is quickly becoming one of the most influential platforms to promote theatre productions, and the “tweet for your seat” approach cleverly takes advantage of this. Of course, not everyone is supportive of this new initiative. Some performers, producers and theatre staff want their patrons’ eyes to be planted firmly on the stage when the curtain goes up! They don’t want people to be distracted by their phones as this could take their attention away from the performance. Besides, although it’s not unusual for people to keep their phones with them and switched on 24/7, should we really let phone use pervade the theatre? The Huntington Theatre in the US has come up with another smartphone-based idea that should appeal to the traditionalists a little more. 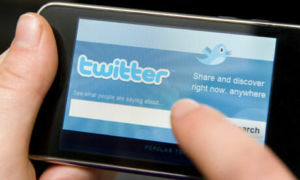 A “Twittermission” (Twitter intermission) could provide the audience with an opportunity to discuss the performance with theatre staff and actors using Twitter. The jury’s still out about whether the theatre is sacred, or if tweeting for theatre seats is a good idea – but it certainly seems to be working well for some theatres.